The Comfort Duett Personal Amplifier is a compact amplification device that makes one-on-one or small-group conversations clearer and easier to understand. An optional connection kit (sold separately) amplifies televisions and telephones. The Duett's ergonomic design makes it an ideal device for peiple with dexterity difficulties. Recharge the amplifier using a base unit (included) for up to 20 hours of amplified listening. 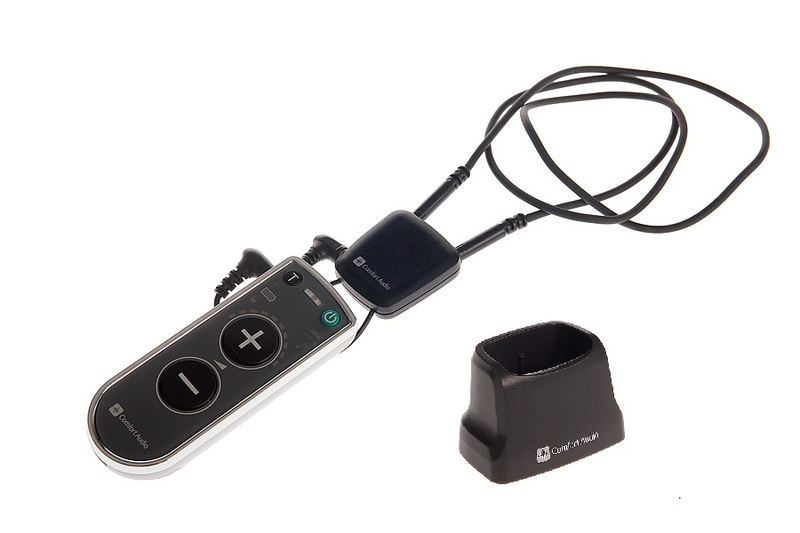 System includes an amplifier with built-in microphone, two AAA rechargeable batteries, neckloop and a charging stand.